Attached are some pictures taken at the end of this previous week. 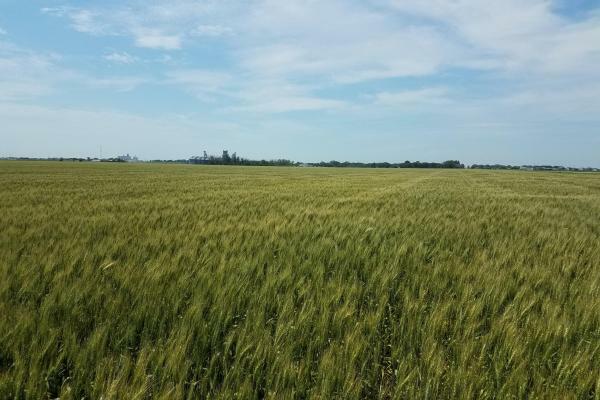 The first 2 pictures are Hard Red Spring Wheat.The wheat crop looks very nice and the heads are now filling. The plants are expected to reach full maturity in about 2-3 weeks. 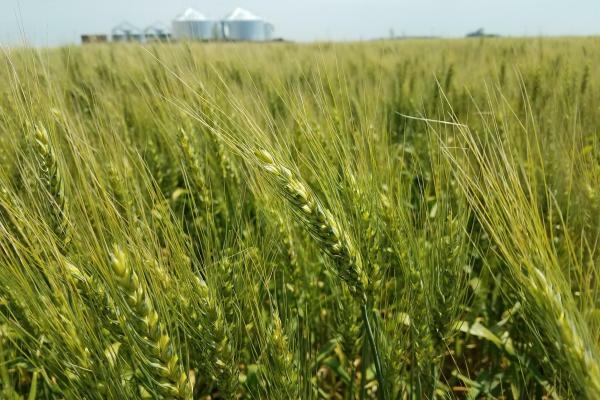 We have had above normal temperatures, so the heat may affect the final yield and quality, but it is still too early to know. The next 2 pictures is alfalfa hay harvesting. 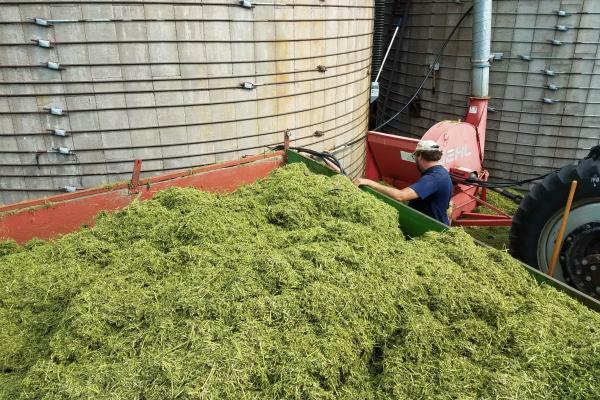 After filling the trucks in the field, we move the alfalfa to our main farm headquarters and transfer into our haylage silos which will ferment and become excellent feed for our cattle. 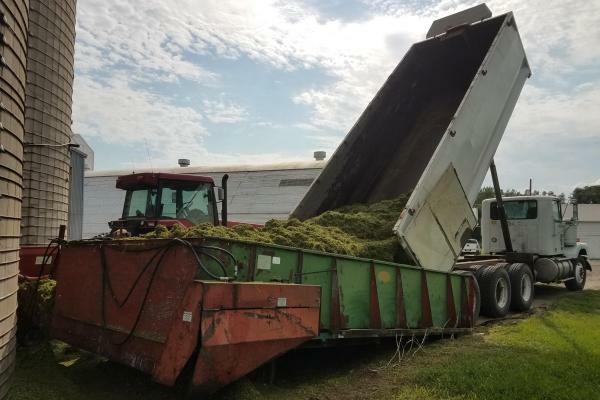 We harvest alfalfa 3 times per year.This week was the 2nd harvest. 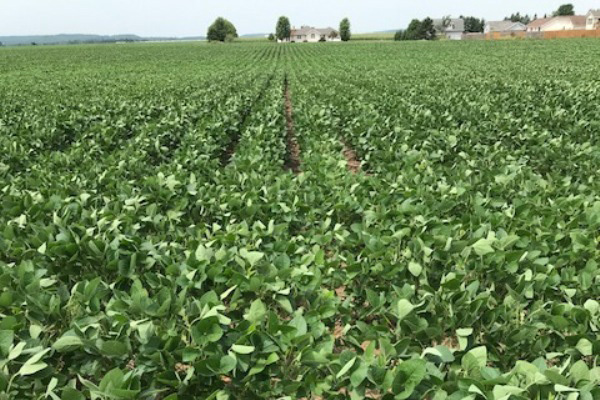 Finally, the last 2 pictures are the SB270 soybeans, The above normal temperatures and normal moisture translates into rapid progression of the soybean plants. As you will notice, the top of the plant is still flowering a little. 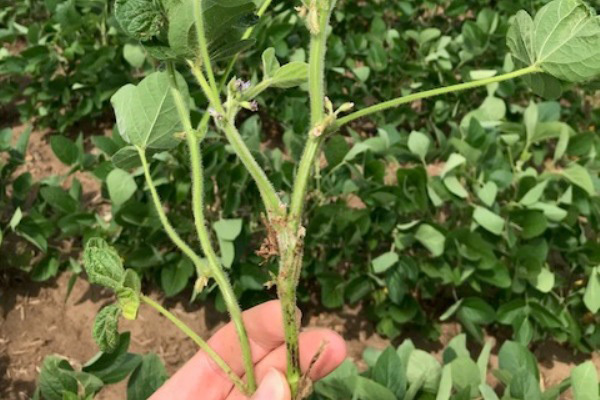 The bottom of the plant is just now starting the development of pods.